Dr. Ben Carson has been staking out the conservative position on controversial issues for the last few years, but critics point out he has never held political office . . . is not a constitutional scholar . . . is not even a lawyer. But it's also true that he has never voted for a budget America could not afford . . . never raised anyone's taxes . . . and never promised a lobbyist anything in exchange for a donation. Dr. Carson understands that the founding fathers never intended a permanent governing class of professional politicians. They wanted a republic, as Abraham Lincoln said at Gettysburg, "of the people, by the people, and for the people." A country where any farmer, small-business owner, manual laborer, or doctor could speak up and make a difference. Dr. Carson believes that making a difference starts with understanding our amazing founding document, the U.S. Constitution. 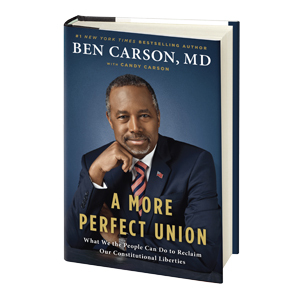 Search for other items by Ben Carson M.D.